All Hume homes currently listed for sale in Hume as of 04/22/2019 are shown below. You can change the search criteria at any time by pressing the 'Change Search' button below. If you have any questions or you would like more information about any Hume homes for sale or other Hume real estate, please contact us and one of our knowledgeable Hume REALTORS® would be pleased to assist you. "Rock Ford is one of the most beautiful estates in the country. Approx. 10,000sqft of refined elements:stone & brick home, metal roofs, copper gutters, Hardwood, marble & brick floors w/Main floor MB and 2nd MB in side wing. Russell Versaci design includes, formal & family space, abundant light & detailed millwork. Stone Outbuildings,Guest House,Pool,8 stall Barn, fenced paddocks, lush gardens." 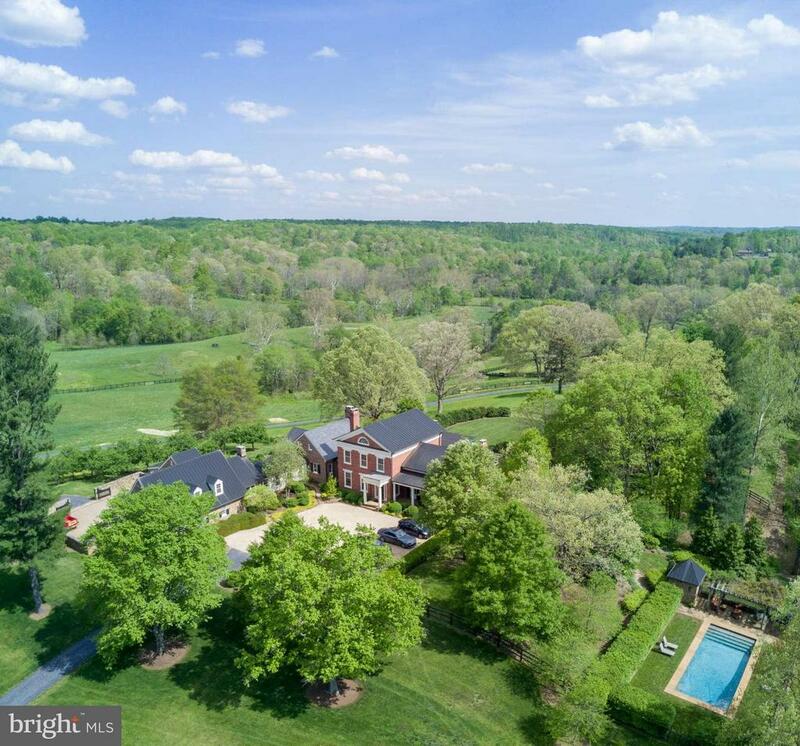 "Crest Hill - Exceptional Fauquier property along Rappahannock, 203 immaculately maintained acres w/appox 1 mile river frontage, elegant stone & clapboard house; 5 BR, 4 full 3 1/2 baths, gourmet kitchen, spacious fam rm, gunnite pool w/stunning unobstructed views of Blue Ridge Mtns situated amongst protected properties in Old Dom Hunt, 5 stall barn, residence set back 1/2 mile from road"
"Sophisticated. Stylish. Historic and Wow from the moment you enter this updated and renovated Manor House - Leeds Manor Farm is simply a notch above the rest. The main residence is approximately 6000 SQFT and sits in the middle of the nearly 82 rolling acres with picture postcard mountain views. The interiors are truly designer finished with a Farrow & Ball palette offering 4 full beds/5baths/reading nook or nursery plus lower level accommodations and entertaining spaces all warmed by 8 fireplaces on 3 levels. The Manor home was originally built in 1828 by Chief Justice John Marshall for his son. A one-story structure with a handsome library, large bedroom and bathroom were added on to the main house as a retirement suite for Marshall in 1833. Today, this decorated wing with elegant wall coverings and furnishings could be used as your main level master or guest suite. High ceilings, historic wide plank floors, original moldings and mantels are found throughout the home including front and back foyers. The equestrian facilities offer 11 stalls between the newly constructed stable designed to match the existing original barn which has a dramatic second story loft with approximately 15 ft ceilings. It could be used as a massive art studio or party space. Oversized 14x14 stalls and tack room with reclaimed, hand planed wood floors are among the indoor features of the newer stable. A large outdoor riding arena, 5 paddocks and multiple run-in sheds make Leeds Manor a well outfitted home for humans and horses. Prime foxhunt territory. A two-story guest cottage with 2 beds/1bath and fireplace, 5 bay garage and an oversized tractor bay create options on this farm. 1 mile from the center of Hume and just 5 miles south of I-66, Exit 18 and about an hour to DC. 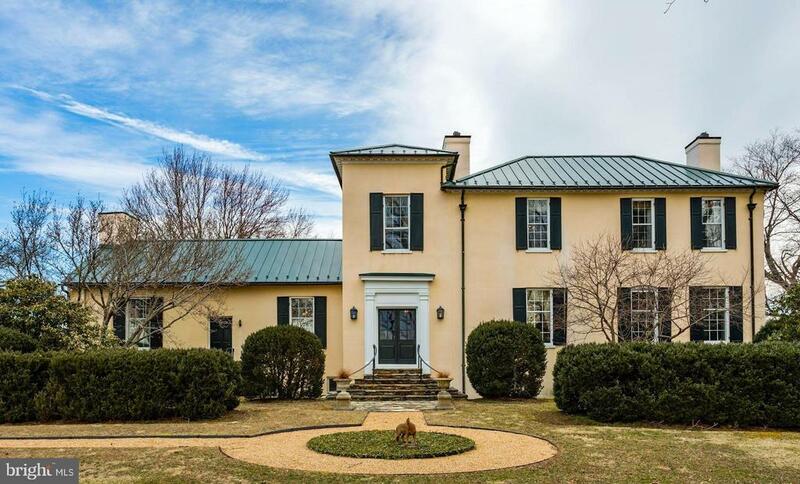 Adjacent parcel of 62.43 acres with stunning views and gorgeous house sites is listed separately under Land but may be purchased with the Main Estate"
"Equally at home in the French, English, or Virginia countryside, Blue Dog Farm is both cosmopolitan and yet firmly grounded in the local landscape. 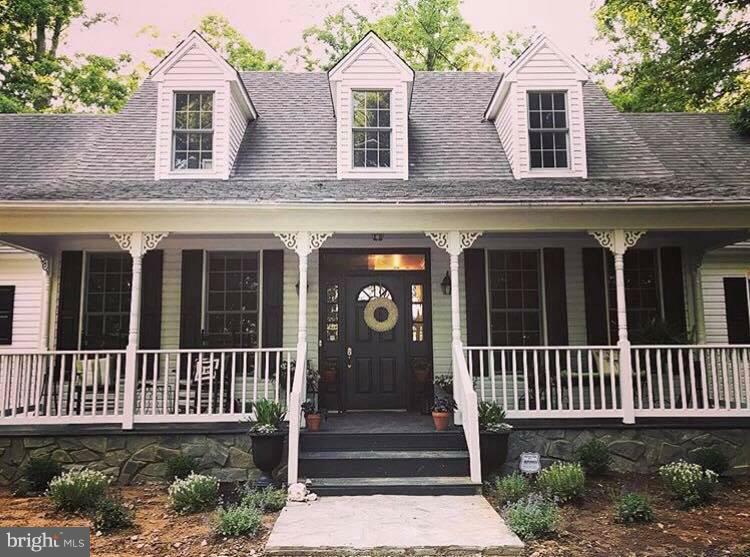 The manor house is grand and welcoming at the same time and nestled on a knoll overlooking the Blue Ridge Mountains. While built in the 21st century with all modern technology and conveniences, there are elements of centuries past wonderfully incorporated into this thoughtfully designed home. 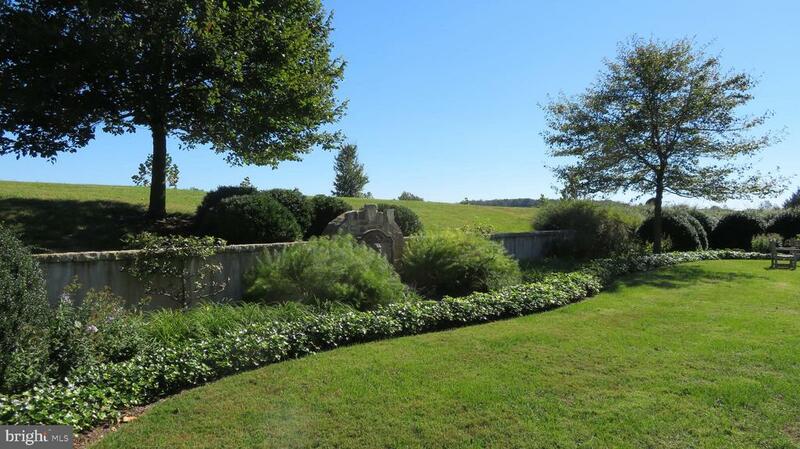 Outside of some plantings near the house and in the walled garden, the grounds have been kept rustic and pastoral, and are a mix of field, forest and stream all bounded by views of the Blue Ridge in the distance. A remarkable country retreat waiting for your personal signature. Luxury finishes throughout. Basement is unfinished but configured and plumbed for an additional bedroom and bath. Elevator shaft in place for future use. Grounds are rolling pastures (currently in cattle) but suitable for horses or other livestock. Excellent vineyard potential given soils, elevation, slopes and drainage." "Equally at home in the French, English, or Virginia countryside, Blue Dog Farm is both cosmopolitan and yet firmly grounded in the local landscape. The manor house is grand and welcoming at the same time and nestled on a knoll overlooking the Blue Ridge Mountains. While built in the 21st century with all modern technology and conveniences, there are elements of centuries past wonderfully incorporated into this thoughtfully designed home. 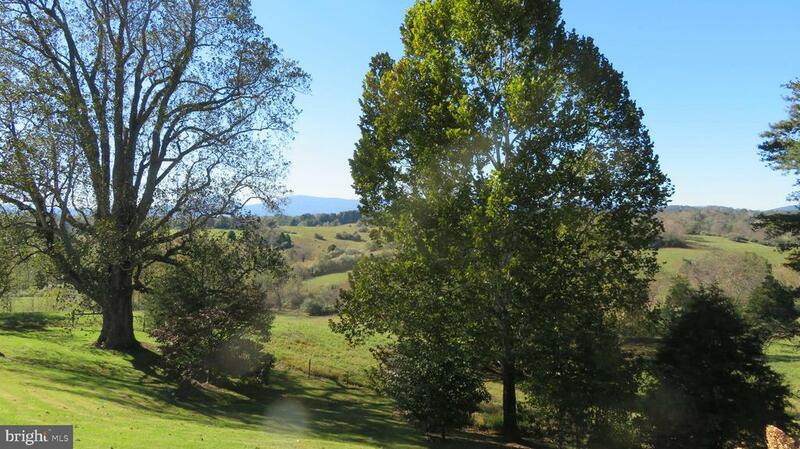 Outside of some plantings near the house and in the walled garden, the grounds have been kept rustic and pastoral, and are a mix of field, forest and stream all bounded by views of the Blue Ridge in the distance. A remarkable country retreat waiting for your personal signature. Luxury finishes throughout. Basement is unfinished but configured and plumbed for an additional bedroom and bath. Elevator shaft in place for future use. Grounds are rolling pastures (currently in cattle) but suitable for horses or other livestock." 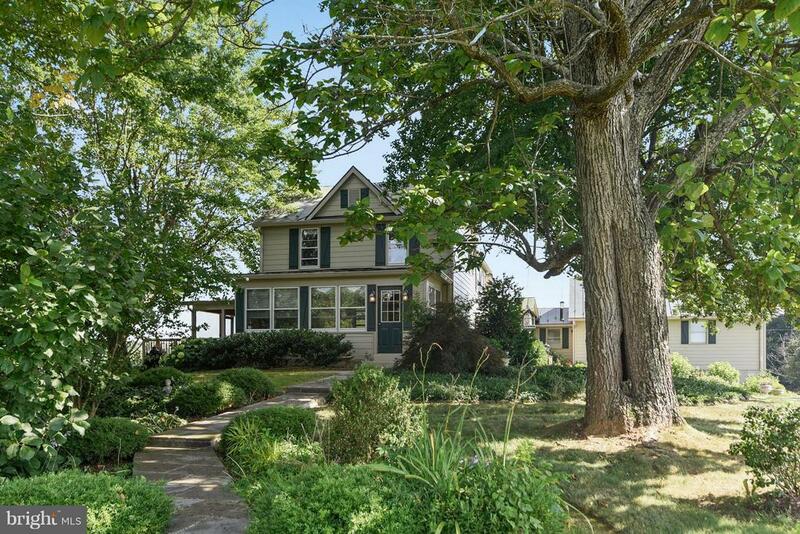 "Harmony Creek, hill top setting with beautiful distant views, farm house circa 1920, completely restored and enlarged, 3 bedrooms, 3 baths, 2 fireplaces, wood floors, large country kitchen. 129.15 rolling & useable acres. Improvements include 3-bay equipment shed/work shop, guest house, 4-stall barn complex, riding ring, spring fed pond & stream." 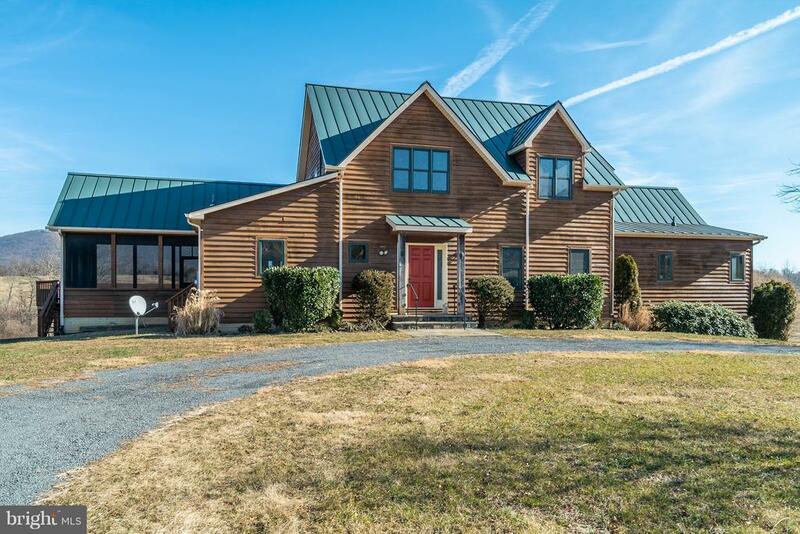 "Wheatfields is a private 54+ acre horse farm tucked amongst large farms in the foothills of the Cobbler Mountains in western Fauquier County. At the center of the property is a wonderfully renovated c.1867 farmhouse. Originally a center hall ~2 over 2~ Colonial home, the frame structure has been added on to over the years creating an antique masterpiece of old and new. Savor the charm of country living while enjoying all of todays modern conveniences. The home offers over 4,200 square feet of living space that includes original details such as extensive custom trim, antique chandeliers and hardwood floors. But recent renovations have added heated ceramic tile floors in the gourmet Kitchen with granite, a large island, custom cabinetry and high-end Dacor appliances. Other rooms include a Keeping Room with a fieldstone fireplace, a Family Room, a light filled Breakfast Room and a wine tasting room. More traditional rooms include the formal Living Room with a fireplace, a Dining Room and a Library with a fireplace and built-ins. The 2nd level features three (3) bedrooms along with a second Family Room with a pool table. Two of the bedrooms are Master Suites with luxury bathrooms. The main Master Bath has heated marble floors, custom soaking tub, glass shower and separate toilet room. The house exterior features its original covered front porch and an open flagstone terrace ideal for entertaining. Mature trees surround the house with extensive stonewalls and professional landscaping. The driveway is paved driveway and there is a whole house generator.The farm also features a 4-stall barn with a wash stall and tack room attached to a large workshop. Above is a 1 Bedroom/1 Bath apartment. There is approximately 25 open acres with three fenced paddocks with automatic waterers, an additional 2-stall pony barn and two run-in sheds. Other outbuildings include an old log building and a frame storage shed. A small creek runs along the edge of the property that feeds a pond w"
"Deer Field, Now offered for sale, a stylish contemporary home situated in an elevated position on 21 acres. Perfect for creating your own farm or vineyard on the 2 tax parcels (6928-87-2300 & 6928-77-6131) that are mostly open and partially fenced. The area is close to many vineyards and is in the western fox hunting areas of Fauquier County. 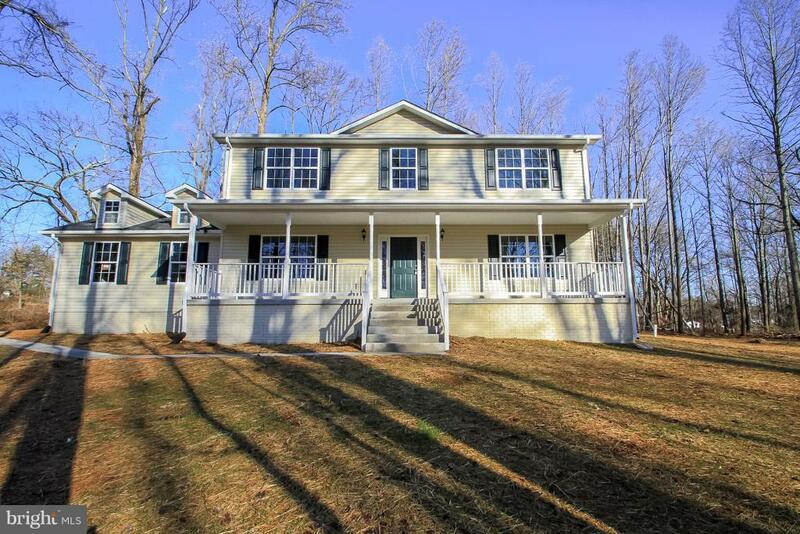 Enjoy fabulous views of Cobbler Mountain and the rolling hills beyond, and nearby is the Village of Hume, VA, in western Fauquier County. 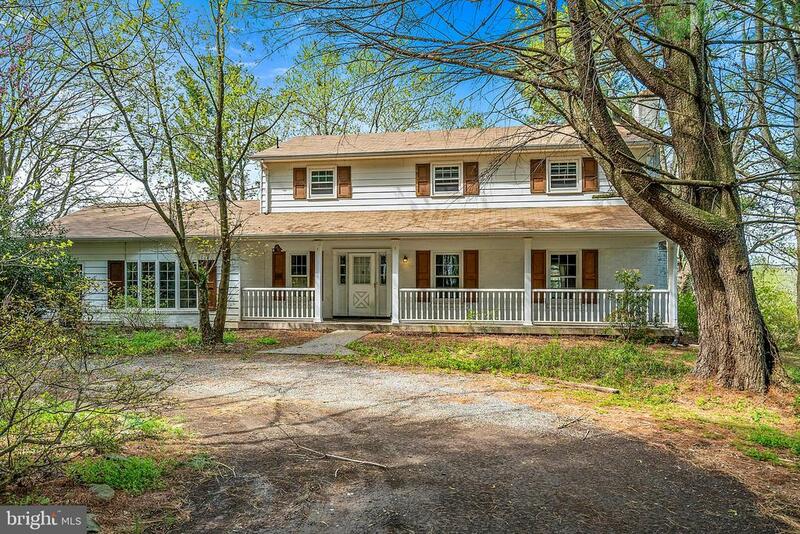 Property has quick and easy access to I66 at exit 28. 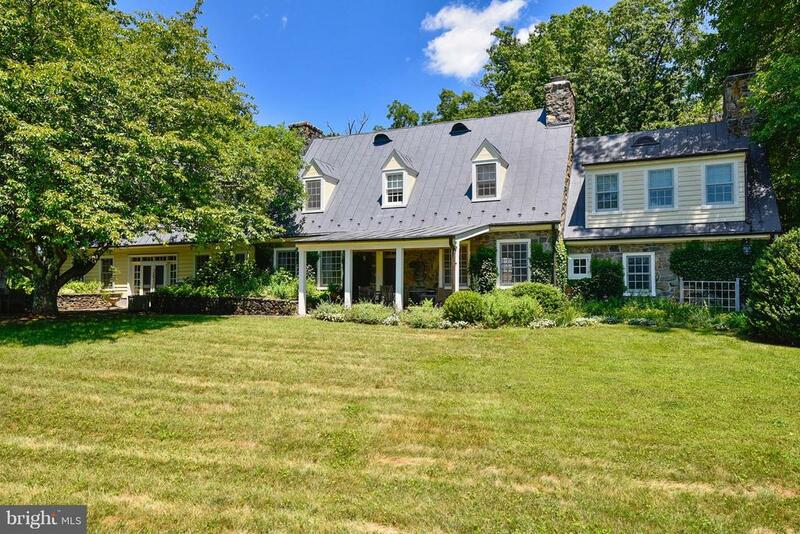 The Home offers large Great-room with cathedral ceiling and massive stone chimney. Built in 2002, in a post and beam style, there are open areas providing great space and an abundance of light. The great-room is adjacent to the kitchen and dining room, with wonderful spaces for relaxing and entertaining. All of these areas connect to an expansive deck (1780 sq-ft) across the entire rear of the home. Inside on the first floor you will also find the open kitchen with all stainless appliances, ceramic tile counters and backsplash, 2 sinks, refrigerator with ice maker, generous cabinet and storage spaces. A large pantry-mudroom- laundry room is adjacent to the kitchen. This has front load washer and dryer, utility sink, extra refrigerator freezer and ample shelving and storage space. A screened in porch that connects to the deck and kitchen area, provides wonderful opportunity to enjoy the outdoors in many types of weather.Also the first floor master suite, has rear views of the mountain and surrounding area, access to the rear deck and his and her closets. The attached master bath has double sinks, soaking tub and separate shower. There is an additional first floor bedroom that works well as an office or guest room and a hall bath with walk-in shower. The second floor has 2 further bedrooms and hall bath. There is a loft overlooking the great-room that allows for additional office, exercise, or media space. The lower level has full "
"Stunning custom colonial on 10 rolling acres with lush paddocks & sweeping manicured lawns in an idyllic setting. A grand front porch marks the entrance to this gracious 4 BR,4 BA home with high ceilings,gleaming wood floors,2 fplc's, gourmet country kitchen & approx. 6000 SqFt of spectacular living space on 3 levels. 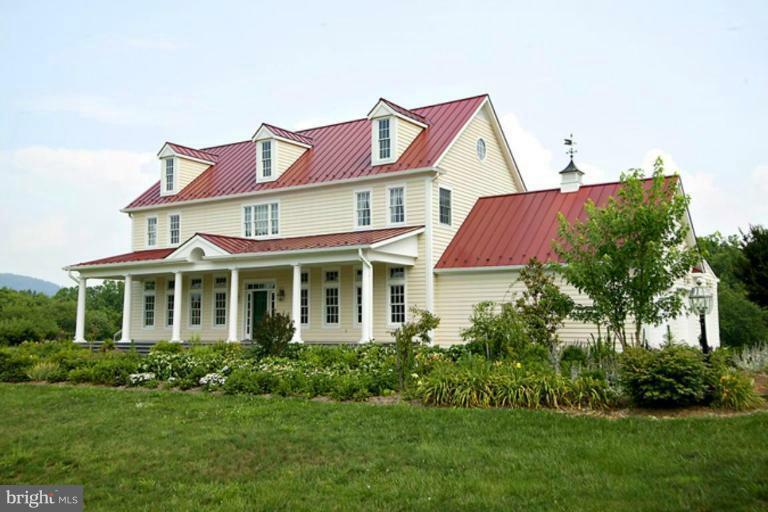 A 6 stall stable & board fenced paddocks included & easy commuter access to I-66"
"WELCOME HOME! 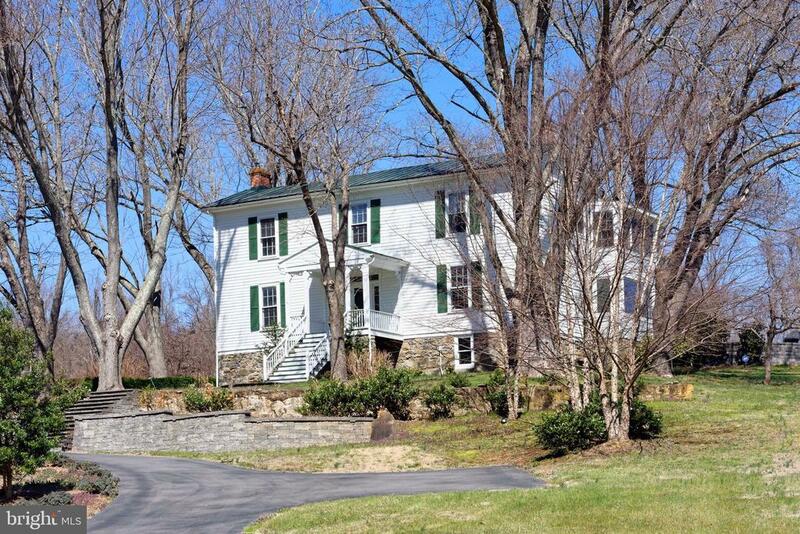 This beautiful cape cod sits off Crest Hill Rd on a gorgeous 50 acre lot! Entrance level MBR & ensuite. LR with fireplace, COZY! Country Kitchen with breakfast area AND wood burning stove! Formal Dining Room. Den or office. Lovely decks on front AND back of home! Walk out basement. Board fenced pastures/yard. Great spaces, indoors and out, for entertaining or just a quiet get-away! Not far from Marshal, Flint Hill, Warrenton, or Front Royal. Priced right to Enjoy your own impressive piece of the pie!" "Spectacular land with everything you could want - pastures, scenic vistas, mountain views, year round stream & rolling hills. 5 bay detached garage, 7 stall center aisle barn with wash stall & plenty of storage & run-in shed. Spacious four bedroom brick house with covered front porch, wood floors, sun room/porch overlooking property - solid and very livable but needs updating. Additional 5 acre lot included in price!" 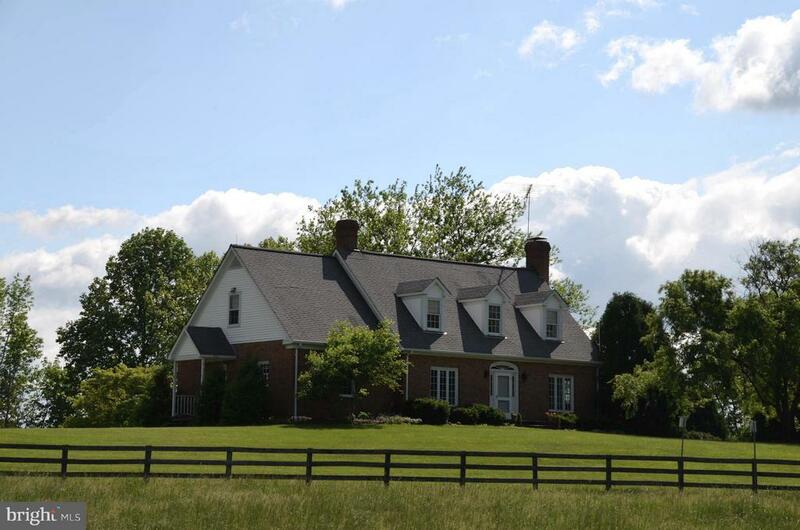 "Charming three Bedroom two 1/2 bath house on 20 acres near Hume, VA. located in the Old Dominion Hunt. The first floor has a Living Room with built in bookcases and a fireplace; a Dining Room with a fire place; a bedroom with a full bath and a nicely equipped kitchen. The master bedroom and study are on the second level and share a bath with the third bedroom. There is an unfinished basement"
"TBB 2400 sq ft Home with the following included:9' ceilings on the main level, 42 kitchen cabinets, recessed Lighting, granite counters, SS appliances, ceramic tile on the bathroom floors, separate tub and shower, dual vanities, carpet on the upper bedroom level, full unfinished basement w/ a rough-in for a 3rd full bath and 2 car garage on 5.32 acres. Buyers select many interior and exterior finishes w/ a generous allowance. Delivery will be 6 months from a ratified contract."